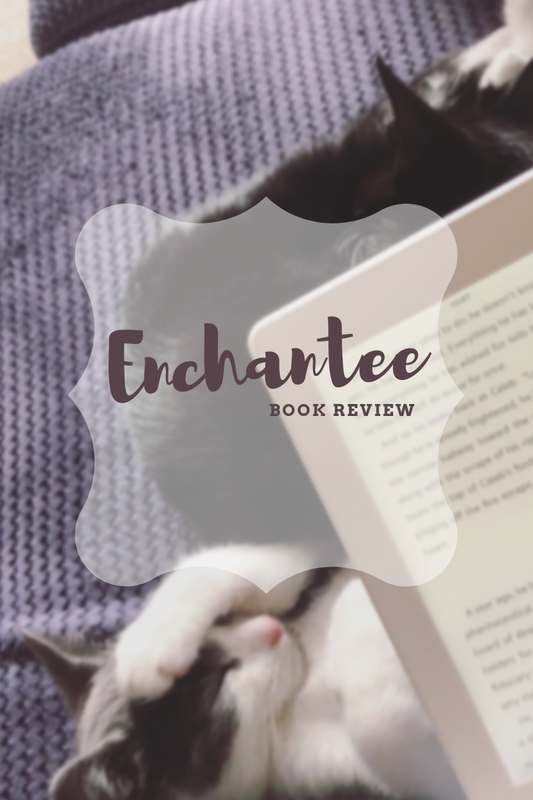 Review: Enchantee | Live to read. Read to live. This book, hot on the heels of my first trip to Paris, set in 1789 (pre the storming of the Bastille so pre-dating the events of Les Mis by about 40 years, FYI) and with a magical main character, this book was so up my street it had all but moved in at my address. The title is Enchantee and oh, was I enchanted. Give me all the magical Paris; I think it might be my new thing. Seriously - hit me up with the recs please. I'm away to google my options as soon as this review is posted. Except not because I'm in a fancy hotel in Chester right now, but TOMORROW. Camille is 17 when smallpox kills her parents, it almost took her sister too and their death has left them with nothing. Her brother has become an alcoholic gambler who steals their rent money and they can't afford to buy food leaving Camille with no choice but to use le magie ordinaire and channel her sorrow to change pieces of metal into coins. BUT the coins won't hold their shape and Camille has no choice but to up the stakes and instead channel her magic into working a glamoire and turning cards at Versailles, in the glittering and intoxicating court of Marie Antoinette. There is so much in the book that ticks so many boxes for me. Magic! Paris! History! Magic! This book is made of magic. Historical magical realism. Is that a thing? It is now. It's also nicely diverse - there's a biracial character and a gay character and whilst if I'm perfectly I wish both of those storylines were given more depth on their own, I liked how they were woven into the bigger picture. 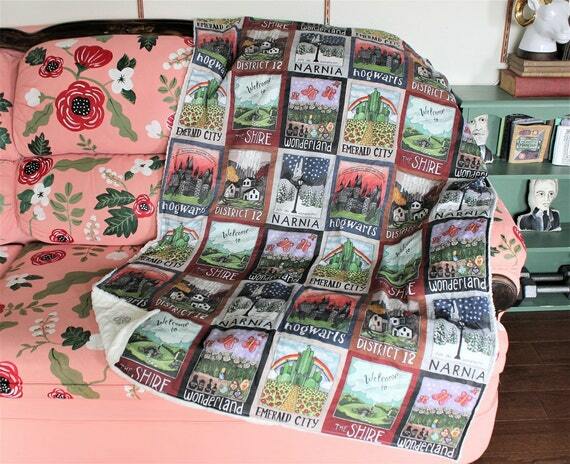 Besides, we all know how greedy I am when I love a book - if I had my way every good book in the world would be a million pages long so that I could have all the details about all the things. It's a book about magic, sure but it's also a book about ambition and fear and obligation and love and a determination to survive against all odds. Camille is a gorgeous protagonist because she's flawed and real and feels so deeply - she loves, she wants, and it's all so fierce, raw even and she'll stop at nothing to get to where she wants to be. 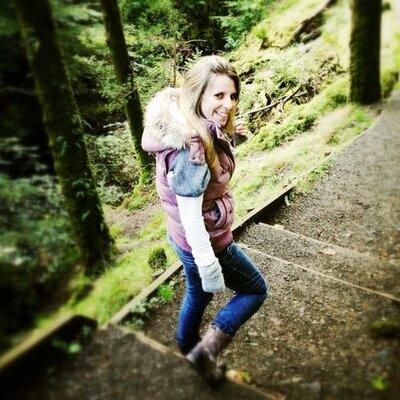 She makes questionable choices and she goes too far and sometimes you just want her to stop now, enough is enough but every choice she makes is because she just feels so much and I loved that. I loved loved loved how the magic came with a price - how Camille could work the glamoire but that it really wasn't good for her, how the cost was high and how Camille was prepared to pay it, how later, when things are a little out of control she realised she had to pay it: this whole theme of what is it worth runs through the book and I loved it. It's so clever how this is a work of fantasy steeped in fact and how the things happening to the characters mirrored the things happening around them. It's set in 1789 and things in Paris are tense - things are about to change, Revolution is coming and as tensions heighten around that, so do things personally, for Camille - the two threads are woven together, the tension building simultaneously. It's clever and it makes for a intense and enthralling read. 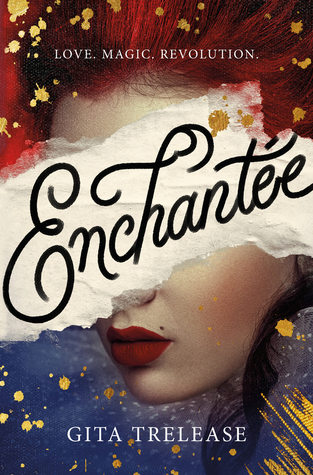 Enchantee is published on February 21st, so go forth and pre-order ! On a side note, I loved how I knew all of the French that was scattered throughout - my time in France and on Duolingo is paying off because I didn't need to google translate a thing - and I am totally putting the Chateau de Versailles on my list of places I want My Best Guy to take me. I've already told him as much. 'We drove right past at New Year' he said, which sure, but I didn't know how badly I needed to go, then.